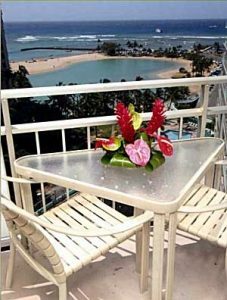 Enjoy Breathtaking Oceanviews from the privacy of your own Waikiki Beachfront Vacation Condo Rental Just Steps to the Sand . . . 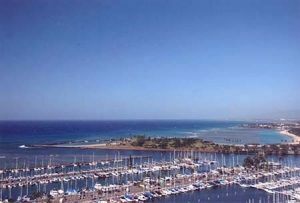 Ideally Located at the Gateway to Waikiki at the World-Famous Yacht Harbor. 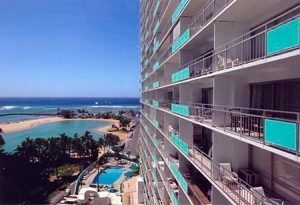 Enjoy the Sound of the Surf and the Sapphire Blue Pacific Right Outside your door from your Luxuriously Appointed Oahu Condo Rental . . . Featuring all the Amenities of a world-class Resort . . . at the Famous Ilikai Marina. Experience another Breathtaking Sunset from the Privacy of your own Lanai . . . While surrounded by Casual Luxury from your Beautifully appointed Waikiki Condo Rental Decorated in an Island-Rattan Motif. Appointments of your Tropical Vacation Getaway Feature Fully-Equipped Kitchens, Over-Sized Private Lanais with Fantastic Views, Daily Maid Service, High-Speed Internet Access, Color-Cable TV’s, Hair Dryers and In-Room safes. For Your Added Vacation Pleasure, Stroll down to the Beach for fantastic Swimming, Snorkeling, Sunbathing . . . and long walks on the sand! 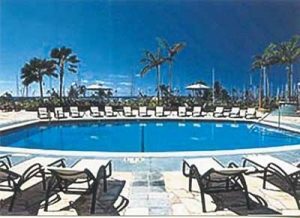 Additional Amenities for your Vacation Pleasure Feature a Beautiful Pool, Whirlpool, Tennis Courts & fitness center. Every Evening at Sunset, Witness the Famous “Torchlighting Ceremony”, as the night is greeted by the famous Blowing of the Conch Shell. You’ll also enjoy signing privileges at Canoe’s Restaurant and Paddle Bar. Additional Restaurants, Nightlife and shopping are Just Moments away. Welcome to the Ideal Waikiki Beach Vacation Condo Getaway . . . Located at the World-Famous Yacht Harbor at the Gateway to Waikiki . . . At the Stunning Ilikai Marina Resort . . . Just Steps to the Sand! 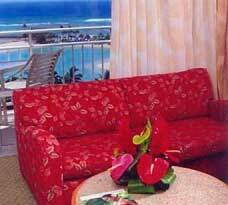 Your Waikiki Beach Vacation Condo Getaway Features Luxuriously Appointed Studio Suites that Accommodate up to 4 Guests. All Linens & Towels Provided. Stunning Beachfront Locale . . . Just Steps to the Sand.